Sagittal balance disorders in severe degenerative spine. Can we identify the compensatory mechanisms? Aging of the spine is characterized by facet joints arthritis, degenerative disc disease and atrophy of extensor muscles resulting in a progressive kyphosis. Recent studies confirmed that patients with lumbar degenerative disease were characterized by an anterior sagittal imbalance, a loss of lumbar lordosis and an increase of pelvis tilt. The aim of this paper was thus to describe the different compensatory mechanisms which are observed in the spine, pelvis and/or lower limbs areas for patients with severe degenerative spine. We reviewed all the compensatory mechanisms of sagittal unbalance described in the literature. According to the severity of the imbalance, we could identify three different stages: balanced, balanced with compensatory mechanisms and imbalanced. For the two last stages, the compensatory mechanisms permitted to limit consequences of lumbar kyphosis on the global sagittal alignment. Reduction of thoracic kyphosis, intervertebral hyperextension, retrolisthesis, pelvis backtilt, knee flessum and ankle extension were the main mechanisms described in the literature. The basic concept of these compensatory mechanisms was to extend adjacent segments of the kyphotic spine allowing for compensation of anterior translation of the axis of gravity. To avoid underestimate the severity of the degenerative spine disorder, it thus seems important to recognize the different compensatory mechanisms from the upper part of the trunk to the lower limbs. 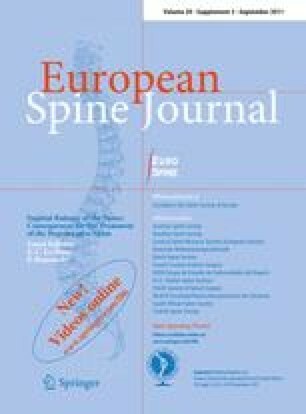 We propose a three steps algorithm to analyse the balance status and determine the presence or not of these compensatory mechanisms: measurement of pelvis incidence, assessment of global sagittal alignment and analysis of compensatory mechanisms successively in the spine, pelvis and lower limbs areas.